Trailer Arrives For THE DEMONOLOGIST! Writer/director J.M. Stelly prepares for the release of his new movie THE DEMONOLOGIST. The film follows a spooked detective that is the only hope for the end of days. Set to arrive On Demand this January, the trailer awaits you below. 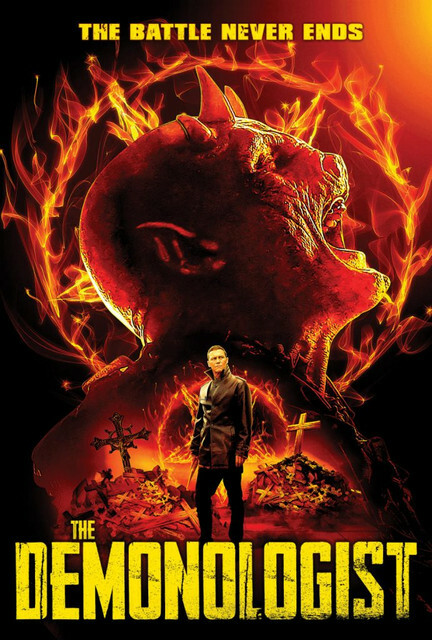 THE DEMONOLOGIST stars Brian Krause, Lara Grice, and Thomas Francis Murphy. "A detective is haunted by nightmares of his past and visions he cannot understand. When he investigates a string of brutal murders, he discovers a Cult that worships the four King Demons of Hell, who plan on bringing them forth to destroy the Earth. He must stop the Cult from starting the Apocalypse and finally come to grips with his birthright and destiny as The Demonologist." THE DEMONOLOGIST will be available On Demand January 1st, 2019 courtesy of Uncork’d Entertainment.